The following free WordPress themes all have one thing in common: They provide tons of premium-like features, but don’t charge you a single cent. These are perfect for bloggers looking to upgrade their website’s layout without having to empty their wallet in the process. Responsive WordPress theme capable of making your website look highly professional from virtually any device. It supports high-res Retina display and graphics, along with crisp font choices to make your website highly presentable. This theme is primarily a one-page design suitable for online stores, portfolios, and other sites with a static, beautiful feel. While content bloggers should probably look elsewhere, Shapely would be perfect for those looking to present their business without excessive clutter. ZapLite incorporates the best of a corporate feel and general blogging into one beautiful package. 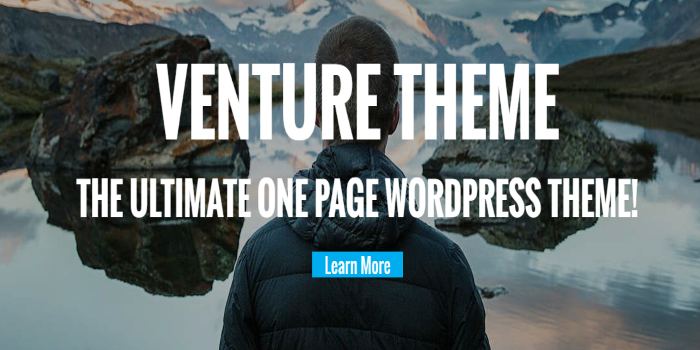 In fact, it’s hard to believe this is actually a free WordPress theme. The blog section displays social media sharing buttons neatly embedded into the posts’ featured image, giving users more incentive to share any given article without hassle. The typography is gorgeous, the main Comments portion looks sleek, users can see “Related Posts” from the main single page view, and much more. 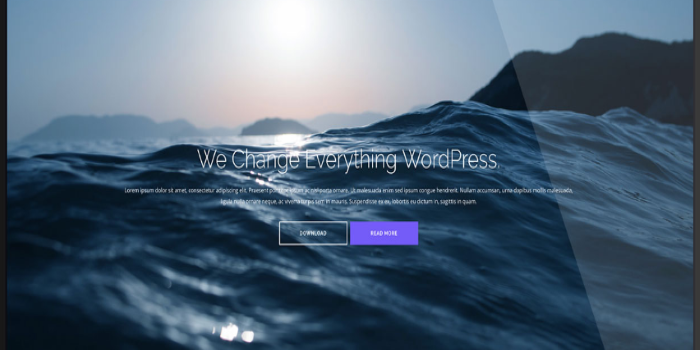 The Unique WordPress theme prides itself in being stylish, clean, and beautifully rendered to attract website visitors right from the get-go. It is somewhat minimal in overall looks, but this absolutely works in its favor. The theme provides footer customization, an attractive navigation menu, and welcoming fonts for bloggers and company websites like. 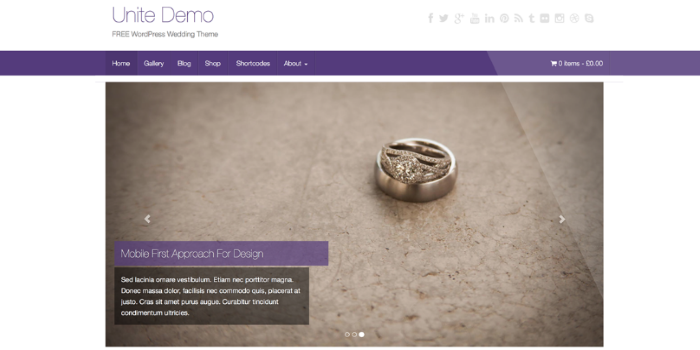 Ideally, I can see this theme being suitable on image-heavy websites based on weddings, photography services, and other portfolio-type sources. Venture is fully responsive and carries itself well. Its presentation pages can be divided into multiple sections to showcase each aspect of your business professionally. The Pro version allows for greater typography customization, front-page slideshows, parallax backgrounds and other neat features for business bloggers. However, its free counterpart is perfect for the everyday blogger that wants a beautiful and responsive theme on their website. 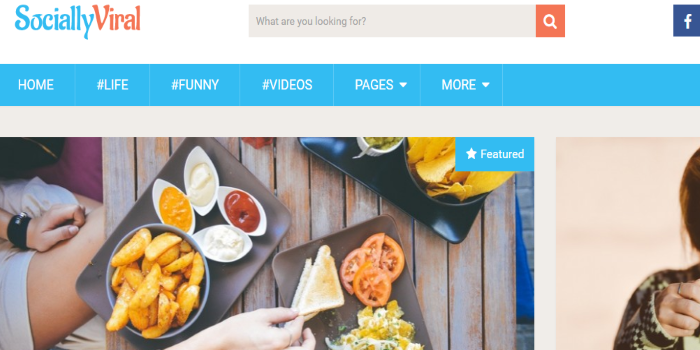 Socially Viral ranks amongst the best free WordPress themes for bloggers who want to create social-worthy entertainment content. 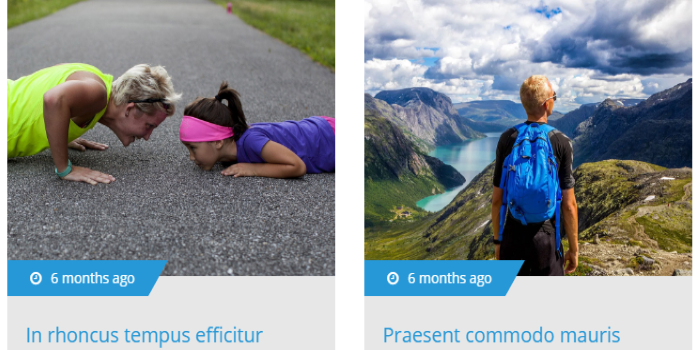 It has a rather engaging design with attractive featured images accompanying every post in a portfolio-like format. It provides tons of Google-ready fonts, plenty of different color options, sleek typography, advanced sidebar customization and more. Perfect for fans of viral sites like Upworthy and Viral Nova. Awaken provides an extensive customizer, various ad widgets (including YouTube and other social media) along with a responsive layout created with the help of Twitter bootstrap. The Awaken theme provides a good mixture of a magazine-like feel and a portfolio look. 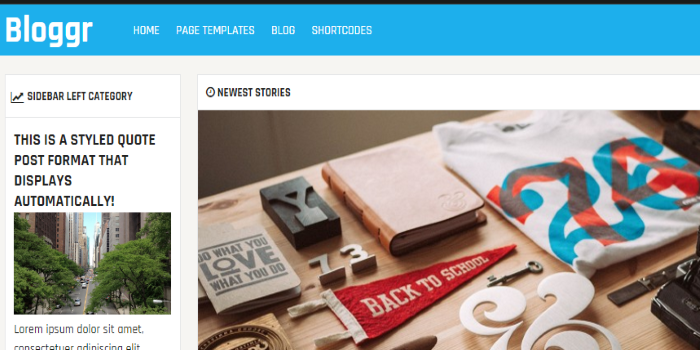 Overall, it’s great for bloggers looking to upgrade from a minimalist-type design. Have you been considering a news website or digital magazine? 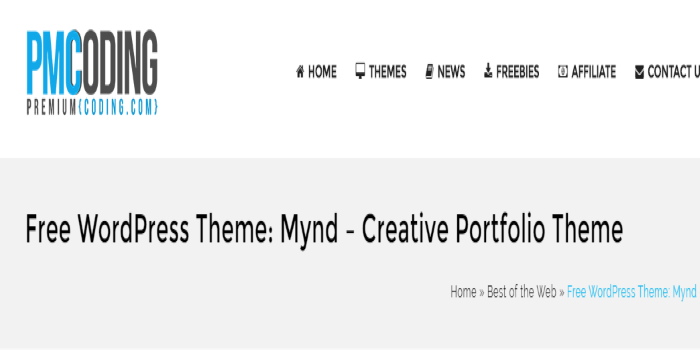 This free WordPress theme can do the job without question. It supports a right and left sidebar, it’s designed with SEO in mind, you can choose from virtually unlimited color schemes, and tons of fonts. All in all, Bloggr can look as simple or as robust as you would like. This is flexibility at its finest. It’s safe to say that Mynd has a mynd of its own. Okay, that was a poor play on words, but this theme has everything you need if you have an insanely creative mind. This older entry supports dozens of shortcodes (allowing for a different look and feel among bloggers) over 20 portfolio pages, multiple blog variations, a mega menu (similar to Mashable) and tons of other visual features. It uses Ajax for fast loading, supports multiple post templates, and it allows you to filter through portfolio items easily. It’s hard to find free WordPress themes that are willing to provide this much. What other premium-like, free WordPress themes can you recommend? Please leave your comments below! Great article you have shared. No one shared this kind of source about theme. 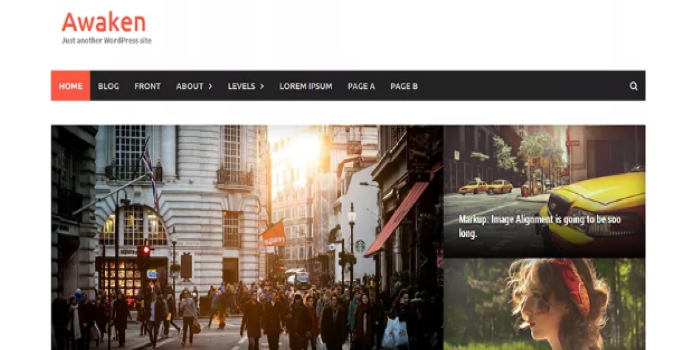 Thanks for your awesome sharing about 8 Free WordPress Themes Packed with Premium-like Features. So, don’t need premium themes?